Stainless steel appliances have reigned supreme in the kitchen for a generation. They began winning fans in the 1990s, when homeowners opted for the contemporary freshness of stainless steel over the dowdy avocado green, harvest gold, and bisque appliances they’d grown up with. The popularity of stainless steel increased as chefs gained celebrity status and Americans’ appetite for culinary experimentation grew. Our interest in watching what went on behind the scenes in professional kitchens led us to embrace restaurant-inspired stainless steel ranges, refrigerators, dishwashers, and microwaves. Just as black in the fashion world comes in different shades of darkness, and at different price points, the same holds true with black appliances. 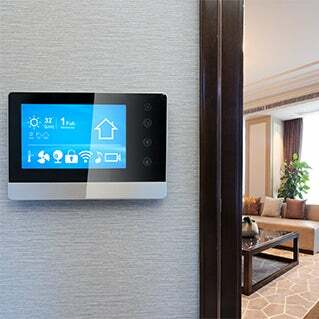 But the beauty of black is that it can be dressed up for a primary home, or dressed down if desired for a second home, and either way its versatility and sleek lines can make for a stunning design. Here are some things to know about incorporating black into your kitchen. Black appliances are especially attractive to homeowners accustomed to traditional stainless steel while looking for something different. 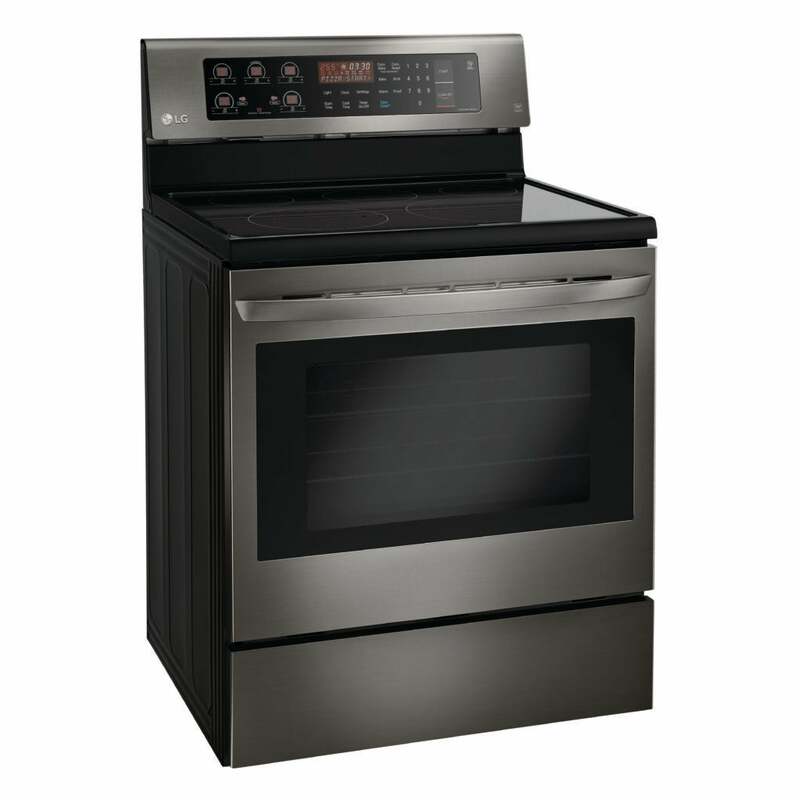 In the last year, all the major appliance brands, from LG Electronics to Frigidaire to GE, have all added black appliances to their lines. 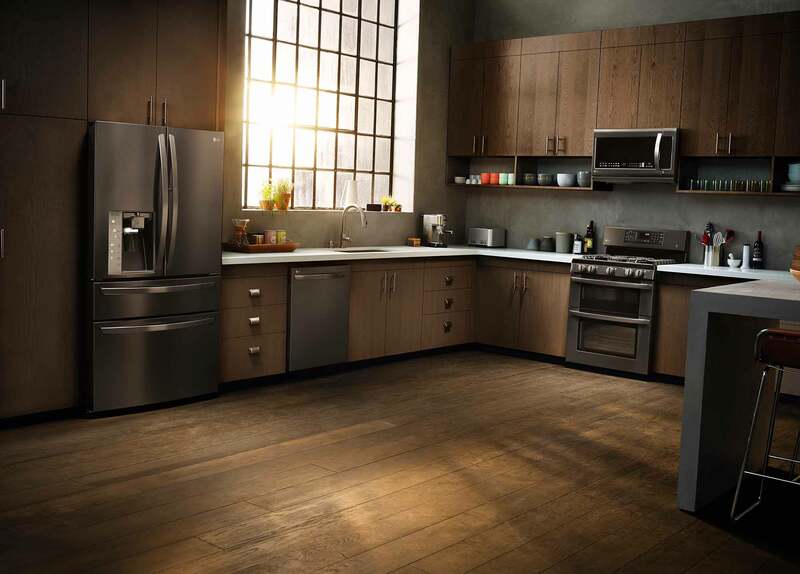 In 2015 LG introduced its black stainless steel finish and quickly made it available throughout its premium line. 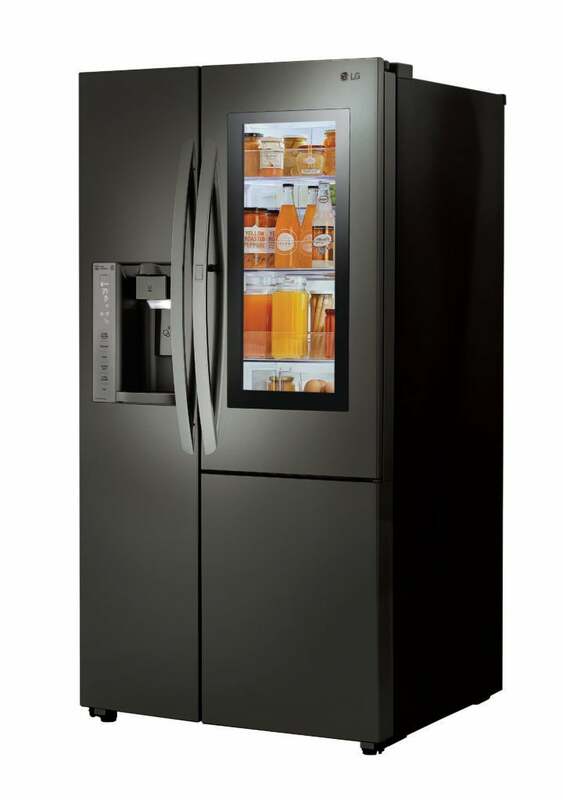 One of the more unique black stainless appliances is LG’s InstaView refrigerator, which includes a door-in-door design and an energy-saving feature that lets you tap the outside window and see inside without opening. Younger homeowners aren’t the only ones drawn to black appliances. O’Rourke finds that black appliances are popular among people of all ages, especially those designing a kitchen in a vacation home. “They have stainless in their first home, so they want something different in their second home,” she says. “Clients who choose black appliances are not afraid of elevating their design sense and making a bold statement,” says Michael Ferzoco, owner of Eleven Interiors in Boston. When you think of black appliances in a kitchen you may imagine a contemporary design with geometric forms, sleek hardware, and lots of glass and metal. To some extent, you’d be right—for example, O’Rourke pairs black appliances with contemporary features such as frameless cabinetry, floating shelves, and organic elements like wood and stone. However, black appliances work just as well with traditional kitchen designs seen so frequently in New England homes, such as framed cabinetry with decorative moldings, antique finishes, and beamed ceilings. “I can see them in a condo in the Seaport district, but I can also see them in a cabin in the woods,” says Newton interior designer Vani Sayeed. Black adds coolness to a kitchen, but elements such as a touch of gold in hardware or light fixtures or a live-edge countertop provide warmth. “Black can be bold, but it can also be a go-to neutral,” Sayeed says. If you like the idea of migrating to black appliances but can’t undertake a full-scale kitchen redesign, begin to transition from stainless to black one appliance at a time. Because black goes with the silvery-grey color of traditional stainless steel, a black refrigerator can fit right in with a stainless range and dishwasher. “They really do complement each other,” O’Rourke says. Introducing some new black hardware on your cabinetry will tie the elements together even more effectively. You may already have more black in your kitchen than you realize, paving the way for new black appliances to fit right in. “Many smaller appliances, such as toasters, stand mixers, smoothie makers, and espresso machines, are black or have black accents—especially those made by European manufacturers,” Sayeed says. Adding a large black appliance to the mix will pull together the other black tones in your kitchen. There’s really no limit to what you can do. Whether you’re replacing a single appliance or embarking on a major redesign, you can take your kitchen in a fresh new direction by incorporating black into your plans.